Below is a list of countries that have not been matched with the Netherlands. If you know a couple from any of these these country combinations, please tell them about our project. 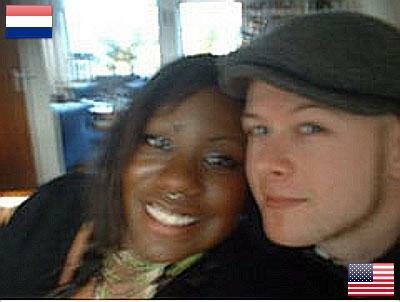 We met in Oktober 2007 in a lesbian bar in Amsterdam. The funny thing is that we both hardly ever went out. It's a miracle that we ran into each other. They live in Queens, New York.